In our local Walmart we found plentiful examples of gift set ideas. Most cultures gives gifts in some way or form and the Chinese are especially known for their gift giving habits. Gifts are given on many occasions and there are different gifts expected for different occasions. Gift giving occasions include holidays, birthdays, business meetings, Chinese new year and weddings being just a few examples. Each occasion has different expectations on the price range of the item. Expensive alcohol gift sets are common place and an interesting topic to look at. The alcohol gift sets will be looked at in more detail soon. The Chinese culture contains a large element of Confucianism. This ethical and philosophical system is based on respect, relationship and ritual. Gift giving incorporates these aspects. Gift giving is a deeply respected and often confusing ritual for westerners especially. Gift giving is a common place in business relationships and getting fluent in the intricate procedures will help greatly in business ventures. 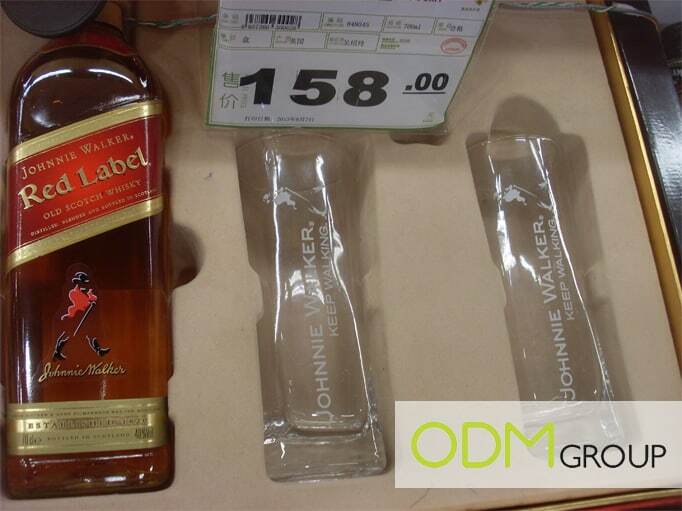 This Johnnie Walker Red label bottle of whiskey comes with two branded glasses and is presented in a gift box. The design packaging of these sets are also very intricate in detail and most often in the colour of red which is an auspicious colour in China. This gift is of a Western brand which will automatically give it a higher perceived value to Chinese people. The price of this gift set is not overly expensive so would make a fairly common gift to be given at various non-major occasions such as birthdays, graduations or simply home dinner nights and visits. The Nescafé box set of a coffee mug with two coffee tins is also a nice, if not a little less glamorous gift to give. 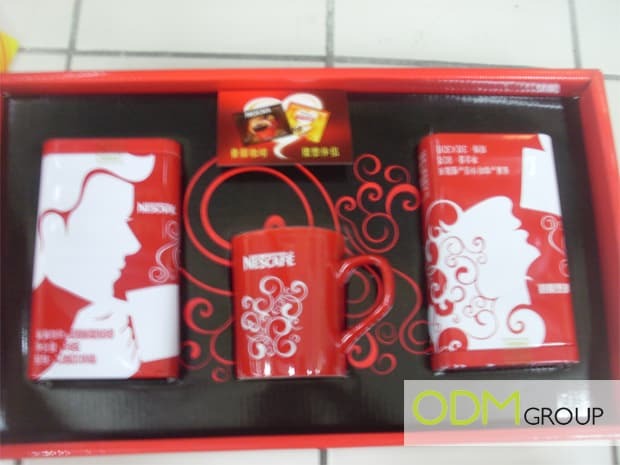 It comes in bright red packaging as standard by Nescafé. 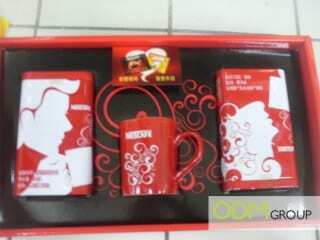 The red colour helps make Nescafé a popular brand in China. This type of gift would make a good gift to give someone who is not a near relative or close friend as it is an inexpensive and non-personal item. It would make a good house-warming present or gift to students moving away from home. As well as making great gift sets, alcohol and consumer product suppliers can brand the gifts in order to turn them into promotional products.